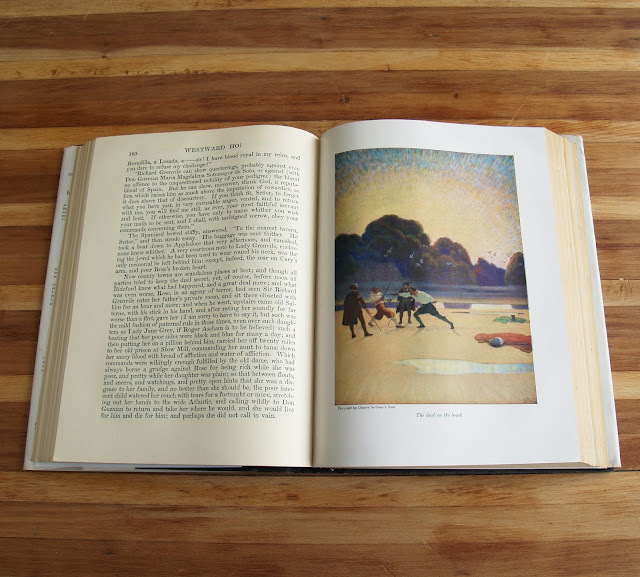 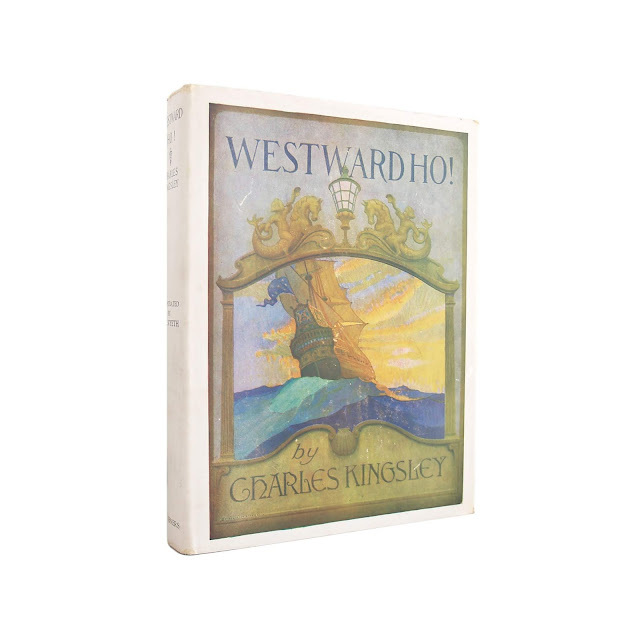 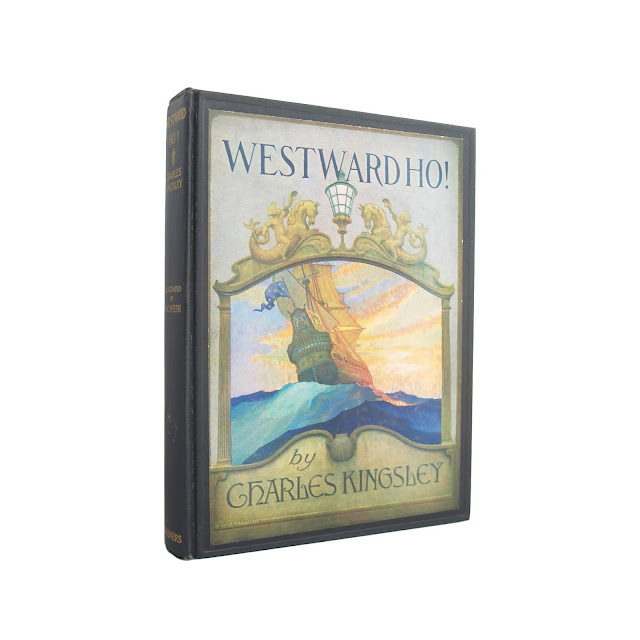 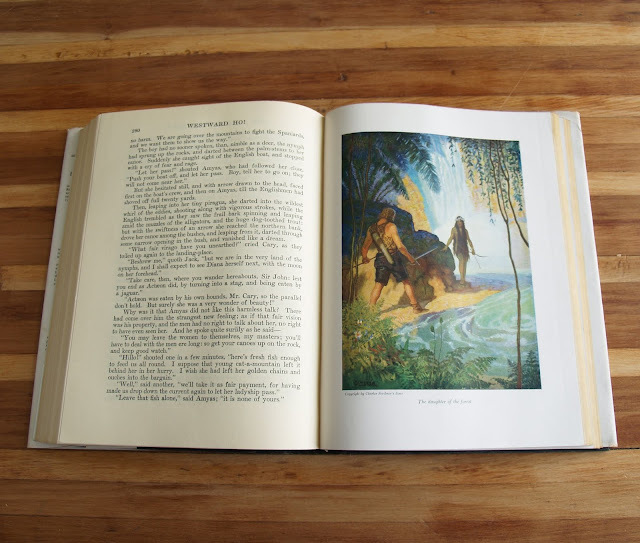 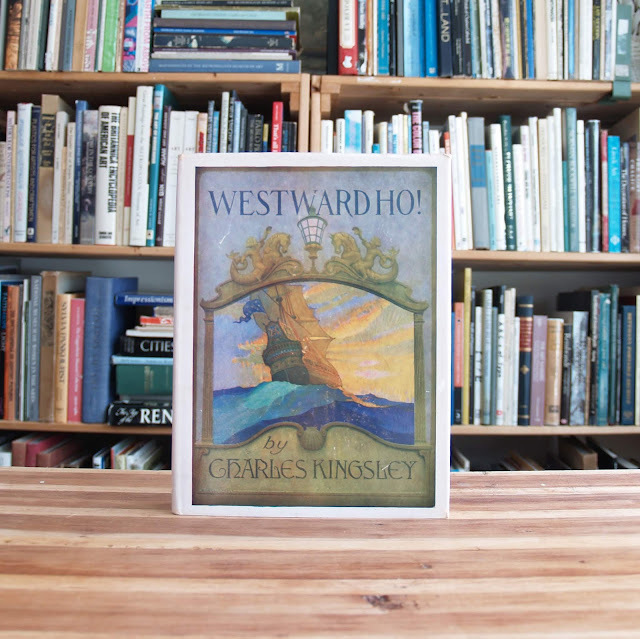 Kingsley's classic historical adventure story with wonderful and iconic illustrations by N.C Wyeth. 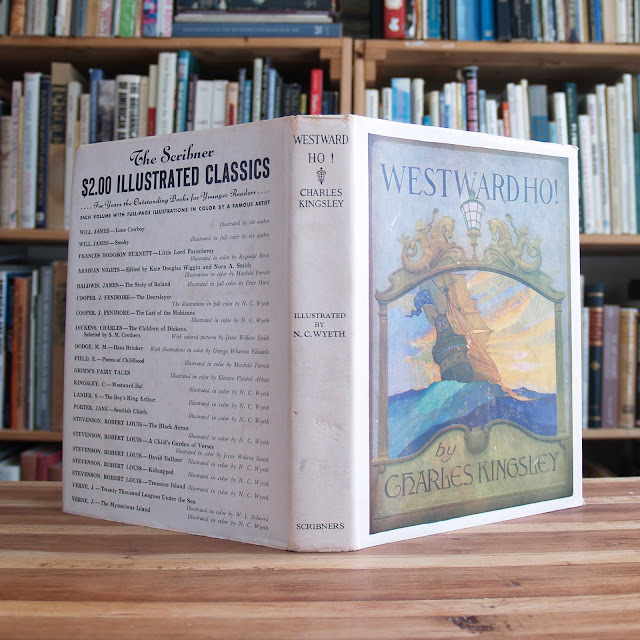 Rear cover shows some spotting, jacket has some soil and edgewear, text is generally clean and bright. 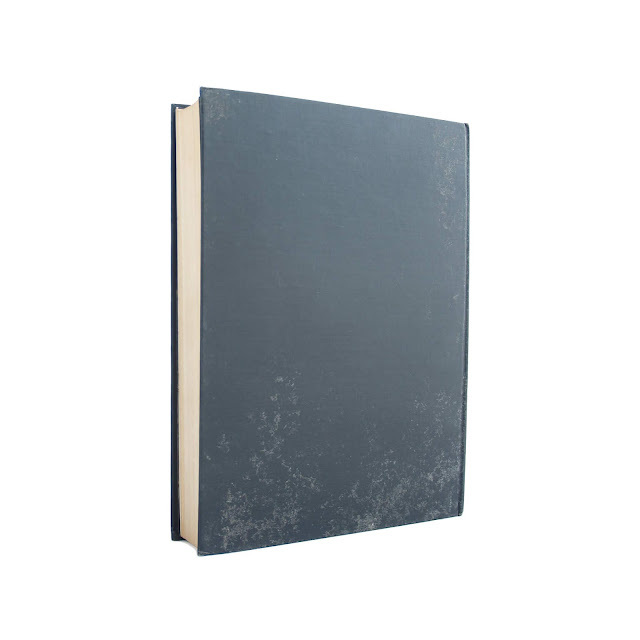 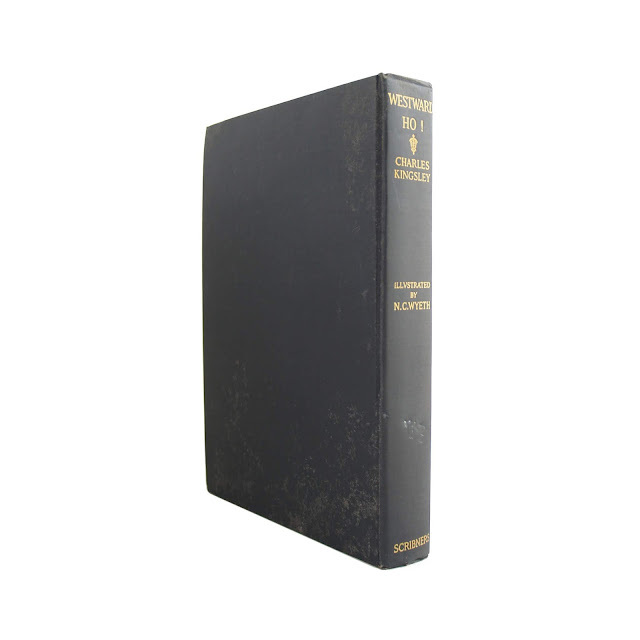 7"x9.5" with 413 pages.